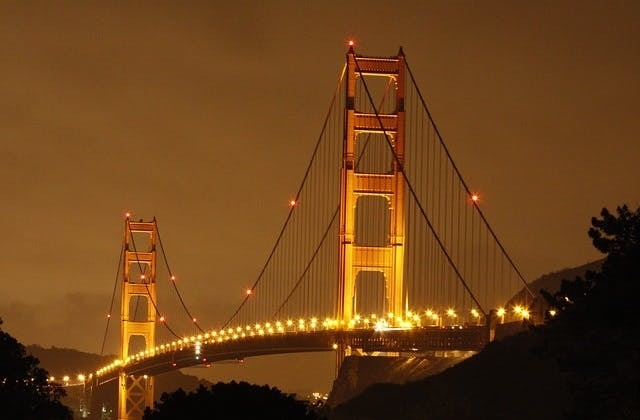 Cheap Flights to San Francisco, United States (USA). Return Flights. San Francisco is a beautiful city located on the Northern California coast. Despite its small size it caters for all interests, from its large, thriving Chinatown to the more laid-back Haight-Ashbury area, home to the 60's hippy movement, to the more tourist centered areas around Pier 39, home for many years to the migrating sea lions, and the Embarcadero. San Francisco is home to the world famous Golden Gate Bridge, across which it's just a short drive to the world famous Napa Valley vineyards. Its year-round pleasant climate and the cosmopolitan hodge-podge of San Francisco make it a fantastic destination for any traveller. San Francisco has the International Air Transport Association (IATA) airport code of SFO. San Francisco has the UTC value of -28800. The The Westin San Francisco Airport is 1 km from San Francisco airport. Tijuana in Mexico is the nearest overseas airport to San Francisco.